Must Watch! What are the conditions of an Islamic will? Why it is important to have one? How should it be prepared? What takes priority when distributing the inheritance? Watch to find out the answers to these important questions. Do you want to know the answers? You must watch! 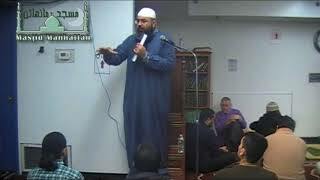 Feb.16, 2018 sermon at Masjid Manhattan. Kutbah of 2/2/18 . 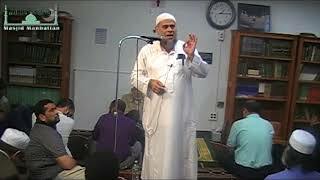 Sheikh explains five important aspects of the Holy Quran that we may not know about. Every Muslim should watch. 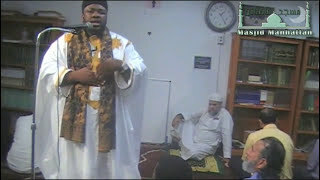 Power sermon about the views of racism in Islam. What did Prophet Mohammad (pbuh) teach us about racism? 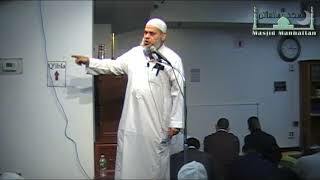 Is there racism among Muslims today? 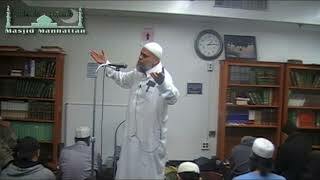 Wonderful sermon by brother Azm about the great teachings of Prophet Mohammad (pbuh). May Allah reward him. "Two beautiful stories from the Quran that everyone needs to learn from"
11/17/17 kutbah by Sheikh Mostafa. Must watch! 10-20-17 : How can one earn a place in Jannah next to our beloved Prophets? Prophet Mohammad (pbuh) gave us the answer. To find out watch this video. 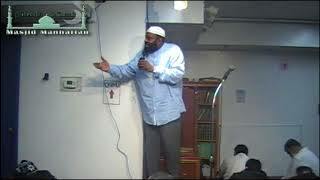 Masjid Manhattan 10/13/17 A reminder of where we came from and where we will end up. Life... death. How can we have a successful ending? Watch and find out. 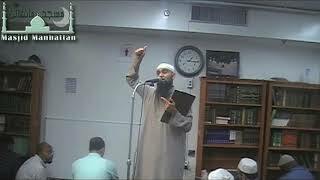 May Allah bless brother Abdulrasheed for this beautiful khutbah. How was the creation of human beings? Why were we created? Why are we Muslims?